Organization: B positions in the center of the marked field. A passes to him. With this pass, A is allowed to put B under pressure. The coach loudly counts down from 5. During these 5 seconds, B is not allowed to finish. If the 5 seconds are expired, B finishes on one of the 4 back mini-goals. 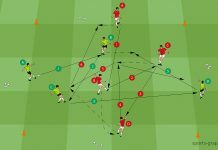 If A gains possession of the ball, he counterattacks onto the two lower mini-goals. After the action, A takes over the position of B. 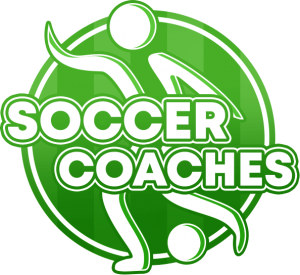 Coaching: B shall intentionally protect the ball and either (depending on the character of the player) by physical play or by skillful movements ensure that the opposing player is not able to win the ball. 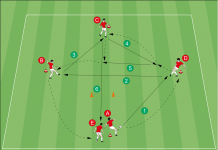 Variation 1: The organization and the fundamental process of the exercise remain (exception: Positioning of the opposing players). Now, B must protect his ball within the 5 seconds against two defenders. 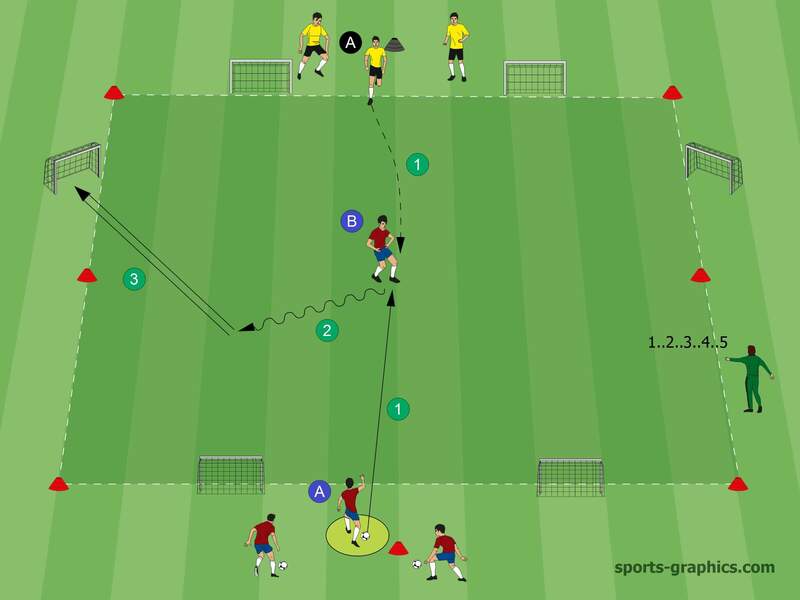 If B accomplishes this, A enters the field and complements the exercise to a 2 vs 2. 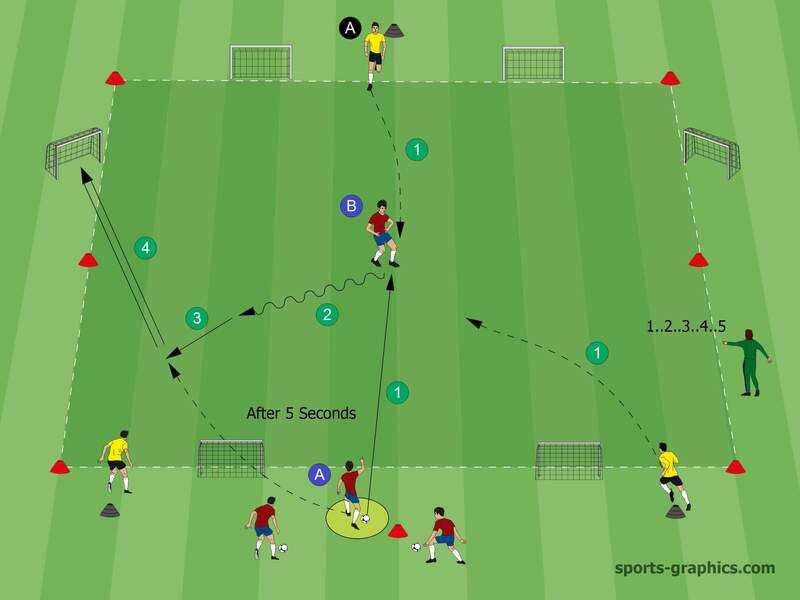 The number of seconds can arbitrarily vary in order to create the exercise more complex or more simple. Variation 2: The organization and the fundamental process of the exercise remain (exception: Positioning of the opposing players). Again, B must protect his ball within the 5 seconds against two defenders. If B accomplishes this, 3 more players of his own team (A, C, D) enter the field and complement the situation to a 3 vs 2. 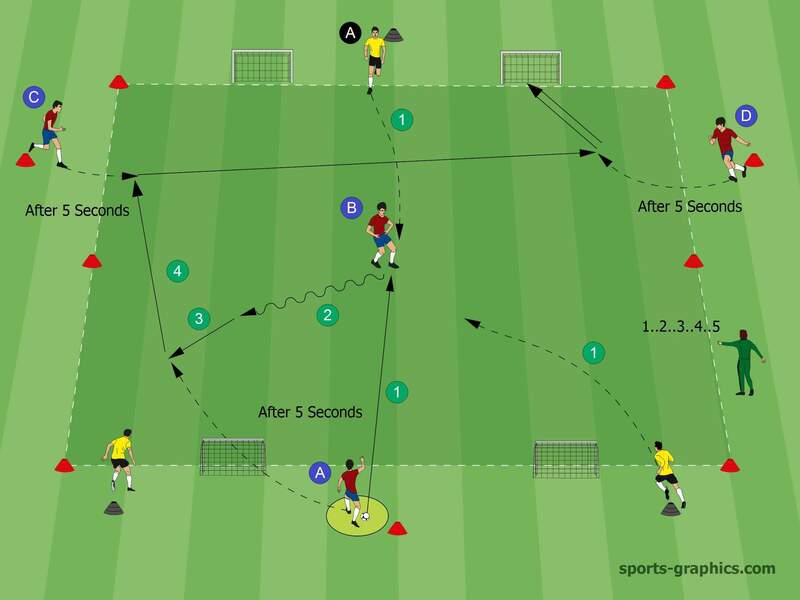 The number of seconds can arbitrarily vary in order to create the exercise more complex or more simple. 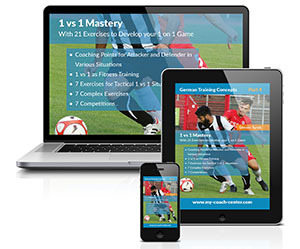 Next articleYouth Soccer: How to develop game intelligence in soccer.